What Is a Warm Air Furnace? | Robert B. Payne, Inc.
What Is a Warm Air Furnace? A warm air furnace is one of the most common forms of central heating systems. Over 35 million homes in the country use a warm air furnace. Essentially, such a system draws the air through the intake ducts to the furnace, where the air is then filtered and heated before being redistributed throughout the home via the heat registers. Typically, the ductwork is insulated to ensure the air remains warm during delivery. Often, these systems run on natural gas, which is a clean-burning fuel source. As such, the unit is quite energy efficient. It’s a good investment for any household. How Does a Warm Air Furnace Work? 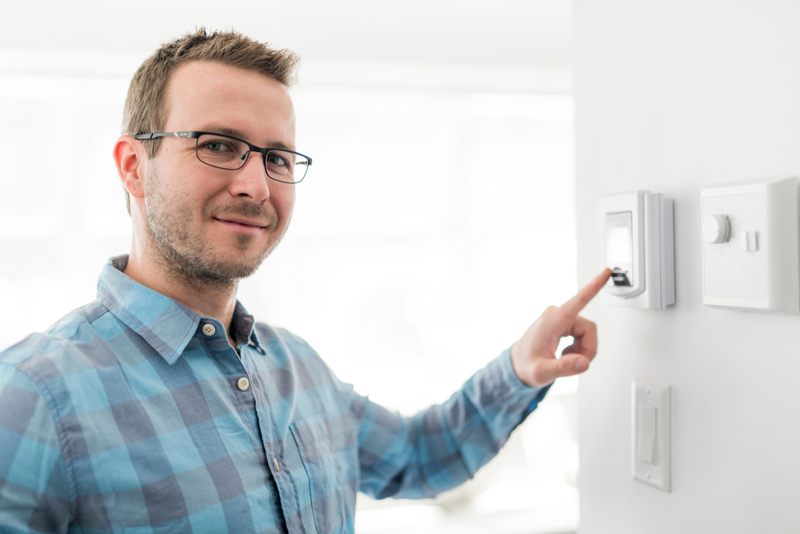 As the temperature in your home begins to drop, the thermostat (set to whatever you like) will alert the furnace. Then, the gas valve opens and ignites. The heat from the ignition flame moves along the heat exchanger. Byproducts from the heating process, including carbon monoxide, escape through the flue. Once the furnace reaches the appropriate temperature, the air within your home is drawn into the unit, where it is first sent through a clean air filter. The air is then dispersed throughout the home via the duct system. Finally, the gas valve closes, and the fan shuts itself off. Each system is designed to provide warm air to specific portions of the house, including the attic, basement, and crawlspace, respectively. Furthermore, the larger your home, the larger the furnace. You need to take size, efficiency, and type into account during the installation process. A trusted heating technician can help make this process easier and more straightforward. A thorough inspection and assessment of your home will help determine the proper heating system and setup arrangement for your needs. The biggest advantage to a warm air furnace is its ability to be combined with a humidifier and air filter. An air filter is critical in any home. If you suffer from year-round allergies, then having a proper air filter can be a lifesaver. Often, these filters are electrostatic, electronic, or pleated – and each is designed to improve energy efficiency and indoor air quality. The result with a filter is cleaner indoor air. Further, to reduce the risk of any short- or long-term issues, you always want to schedule a professional installation. You see, a furnace or heating system of any kind is quite complex. One wrong step could lead to severe consequences. However, such a situation is easily avoidable with professional installation from a trusted technician. For warm air furnace services and heating services in general, trust Robert B. Payne, Inc. We provide the area’s top heating service year-round, from central heating to boilers. Give us a call at (540) 373-5876. You’ll find our service is affordable, efficient, and prompt.